Hon. 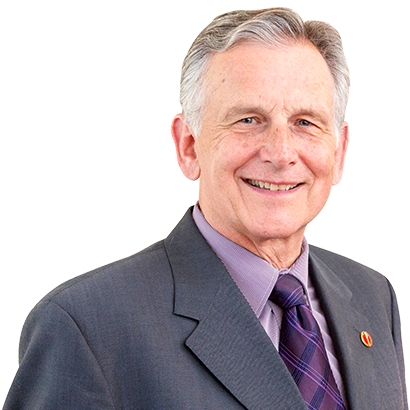 Larry W. Smith (Leader of the Opposition): Honourable senators, I rise today to speak to Bill C-45. Since the bill was passed in the other place, we have heard significant concerns from many of our colleagues of all parties and groups here in the Senate, representing all corners of the country. And, fairly stated, they reflect the wide range of opinions held by Canadians. I think this has been a good and worthy exchange, as what we have heard will inform the work that remains before us and demonstrates the seriousness this matter requires. It is my goal today to be faithful to my role as senator in this chamber, as a member of the Official Opposition, and to my obligation as Leader of the Opposition. At its core, this means our work must strive to ensure that all views contrary to those of the government be fully voiced and considered. We must be a voice for those Canadians who have significant and valid concerns about the policy choice their government is making. As I said early on during my comments in committee of the whole on February 6, Conservative senators will examine Bill C-45 with the seriousness and careful attention it deserves. I will briefly touch on five areas of particular concern to Canadians and cite general elements where the government appears to be less than fulsome in its consideration of the matters arising from their policy choices that they themselves advance as being in the interest of public safety and driven by a central commitment to harm reduction. Public safety and harm reduction is their standard, and the Senate is here to determine if that standard is met and, if found otherwise, advise and amend the legislation accordingly. First, children and youth: As I’ve listened to my colleagues, I conclude that one of the more commonly held concerns deals with the impact that the government’s policy approach, including legalization, will have on the health and well-being of our children and youth. Over the past few weeks, senators have received hundreds of letters and emails from concerned Canadians who wonder why the government is, in their view, putting the health and safety of our children at risk with this legislation. As a result, it would be good to develop some public interest criteria to evaluate the government’s choices to determine whether they are protecting our children and youth, as the government claims. I want to pay particular attention to children living in homes where once this bill is passed, absent fear of significant legal penalties, there is likely to be increased direct and indirect exposure to cannabis. Whether it is consumption or homegrown plants, children are not afforded any protection from adults legally smoking up and growing plants. Some may be likely to suggest that people smoke and grow now prior to the introduction of this bill. I’m certain that this is true, but they do so facing legal consequences that will be overturned if this bill is made law in its current form. So I share the concern that having made great efforts over many decades to protect Canadians, particularly children, from the unwanted impacts of second-hand tobacco smoke, we ought to make extra efforts to not set back all of that progress by legalization without adequate protection. The argument that the provinces will put in rules persists in our discussion. As of today, however, this remains unclear. Preparations to sell the product have taken place; however, they are unprepared to protect people who will be impacted and without any protection, not now, and maybe not for a long time, perhaps never. This issue needs to be addressed. If the brain continues to develop until the age of 25, it may be a good idea to take the Canadian Medical Association’s advice to increase the age limit for consumption to protect the brain development of thousands of youth. Next, public education and prevention: Shifting the focus, we have also learned concerns on the government’s efforts aimed at prevention, education and protection of health and well-being. If legalization brings greater exposure and signals normalizing social acceptance, it then demands a corresponding harm reduction and public safety effort. We have seen responses from other jurisdictions that lead me to believe that the implementation of legalization so far is too advanced in comparison to prevention and education efforts. In other words, lots of words but not enough execution. At the Committee of the Whole last month, the Minister of Health mentioned the government is investing $46 million in public education and that the national program should be launched in March. I have yet to see this key national public education advertising campaign or any indication that we will in the near future. I did send a letter this week to the Minister of Health asking her that question, because I did ask it at the Committee of the Whole.
. . . we have learned much information from our friends in Colorado. They told us that if they had to do this again, they would certainly move forward in making sure that public awareness was in place before the product became legal, and that’s exactly what we’re doing. What they were saying is that if they had to do it over again, they’d put more money in and have a bigger program. Canada should immediately boost spending on intensive public education and research into the impacts of marijuana and not wait until 2018. Fellow senators, please allow me to take the time to look at the educational timeline, as I find it very troublesome. It is a known fact that youth will better receive information from trusted mentors such as teachers, coaches and parents. It appears that the educational program targeting youth will not be prepared in time for this year’s school cycle. When does school end? School ends in June. If training doesn’t start before June, what happens during the summer? The kids play and fall asleep, and we all fall asleep during summer vacations. So this means that our young generations will not be taught about the implications and dangers of consuming marijuana in schools prior to its legalization. The lack of planning by the government on the educational campaign is deeply concerning. The recent budget announced funding amounting to $18 million — that’s on top of the 46 — in the next fiscal year. Senator Petitclerc was very clear in her definition of the percentage of dollars spent in Canada; it will be much less. But the funding will only kick in after marijuana legalization. It would seem to me that the Minister of Health is not taking to heart the lessons learned from Colorado, nor the advice from her own task force. If she were, we would have had a national program launched and under way months if not years ago. The Liberal Party included marijuana legislation as a central point in their election platform. The groundwork on educating the public, and especially our youth, should have begun as soon as the current government took office. But it was not, and in neglecting to do so, the government’s commitment to a harm-reduction approach must be called into question. Public safety is another area of common concern. Whether it is the government’s decision to focus first on the legalization of smoking products — products that are banned in some jurisdictions where other forms are accepted — or the absence of THC regulations, there is ample cause for concern. According to the Fédération des médecins spécialistes du Québec, the marijuana being consumed today has a much higher THC concentration, which can mean a greater risk of addiction for some consumers. Why doesn’t this bill set THC limits to protect the brain development of our future generations? That’s basically just saying: Why do we not have a THC regulation now? It will be especially important to set limits on potency for edibles, concentrates and marijuana-infused products, as we have seen in the case of Colorado. Honourable senators, would it not have been prudent to learn from Colorado’s experience and set clear potency limits now? Perhaps, for that matter, legalize and strictly regulate these forms, while maintaining a ban on smoking marijuana? In this case, we have only a commitment to introduce regulations on edibles and extractives at some ambiguous later date. It seems a step backwards or at least a misplaced sense of priority. A rigorous and comprehensive regulatory framework for public safety that enables this bill is clearly needed. The government, having chosen not to follow the normal regulatory development process and cutting corners along the way, will only present the final regulations after the bill becomes law. I refer back to Question Period this week, when I asked Minister Brison: Why are you not putting this into the pre-period? He didn’t answer the question. It was the most interesting answer I’ve ever heard. I couldn’t understand a goddam word that was said. Excuse my language. It is unparliamentary, but at the same time, we are citizens of Canada and we are fighting for citizens of Canada. It will not, in a public and transparent manner, and following their own rules, pre-publish and consult on the final form of regulations. This, to many of us, is an alarming approach to a matter that the government claims is driven by public safety and harm reduction. Where is the harm reduction in cutting corners on regulations? Enforcement: I would like to speak to the black market traffic in marijuana. I will reiterate what several of my colleagues and RCMP witnesses at committee have already stated. This legislation will not eliminate the black market as this government so adamantly claims it will. With the delay in bringing edibles into the fold and leaving other marijuana-infused products outside of the legal framework, this bill will ensure that the black market continues. Home and outdoor growing will also fuel the black market, especially since the height restriction on plants in homes was removed. My goodness, those plants are growing. As my colleague Senator Vern White has said, the only way someone under 18 years of age can buy marijuana under this legislation is illegal, both in activity and in product. Imagine looking out across a classroom of 12 to 13-year-old children, all permitted to have five grams of pot on their desks. I share the concern that there is a flaw in this legislation. Why have we left it to the provinces and territories to prohibit youth possession when we can demonstrate leadership and do it at the federal level? While youth under 18 can possess up to five grams of dried cannabis without offence in this legislation, it is a criminal offence to sell or give marijuana to youth under the age of 18. I have not heard much from the government, other than leaving it up to the provinces and territories about what strategies have been examined to minimize the likelihood that youth will be able to access the black market. Furthermore, we know that foreign tax havens are being used to finance Canadian marijuana companies. In the past few weeks, several Quebec media outlets have reported that nearly half of the 86 companies that have received Health Canada permits to grow marijuana are financed with money from tax havens, which are often used for money laundering purposes by organized crime. As recently as this past Tuesday, the government mused aloud about the changes they intend to make. Intend to make? I thought they had all of this thought through. This is clearly not the case. This brings me to how this legislation will introduce new judicial burdens, despite claims from the government that the legislation will lessen them. Throughout the study of Bill C-46 at the Standing Senate Committee on Legal and Constitutional Affairs, experts have repeatedly stated that this legislation is ahead of the science. There is currently no government-approved roadside testing technology for marijuana impairment. So what does that mean for the officers who are supposed to implement this on the streets? The committee has also heard from witnesses that there will be constitutional challenges by people who are facing the consequences of having a criminal record for drug offences without scientific certainty. This is the opposite impact of what the government is intending. Indigenous impacts: The Minister of Health highlighted that she had heard from our Indigenous communities that they also want to ensure that the programs are going to be currently sensitive and meet their needs. We have heard assurances that consultations have been held that meet the legal and constitutional obligations given to our special relationship with Canada’s First Nations people. I have examined the record and have come to the view that what has been done and what the government plans to do falls well short of the mark. What I hear leaves me unconvinced as to the government’s intentions. I’m especially concerned with the impact on health for Indigenous people in Canada. Over the last month, Senator Patterson has spent hours travelling and discussing this legislation with elders, leaders and concerned citizens all over the Far North, and the response has been clear. Communities are not prepared to implement this legislation as they are not receiving the necessary supports for addiction and mental health treatment. Sadly, in Canada, suicide rates among First Nations youth aged 15 to 24 are five to six times higher than in the non-Indigenous population. In communities where depression and suicide are still widespread, I fear this bill does not put forth the extraordinary efforts it would take to help Indigenous peoples.